Memorizing Scripture Helps Us Resist Temptation: Think back to how Jesus dealt with being tempted by satan in the wilderness. Jesus defeated satan with different scriptures He memorized. King David also stated “I have hidden your word in my heart that I might not sin against you” Psalm 119:11. Memorizing Scripture Helps Us Make Wise Decisions: Something amazing happens when you memorize scripture and are facing life’s decisions. . . God will bring the Bible verse use need to help you make your decision to mind. The Bible declares, “Your word is a lamp to guide me and a light for my path” (Psalm 119:105). Memorizing Scripture will Give You Comfort when Needed: Life is hard and there will be time when you need comfort and encouragement. When King David was going through difficult times he declared “Remember your promise to me, your servant; it gives me hope. When I suffer, this comforts me: Your promise gives me life” (Psalm 119:49-50). There is also a Bible verse for every issue you will face in this life. The more you memorizing different Bible verses, the more likely you will remember the specific verse you need when you are facing one of life difficulties. 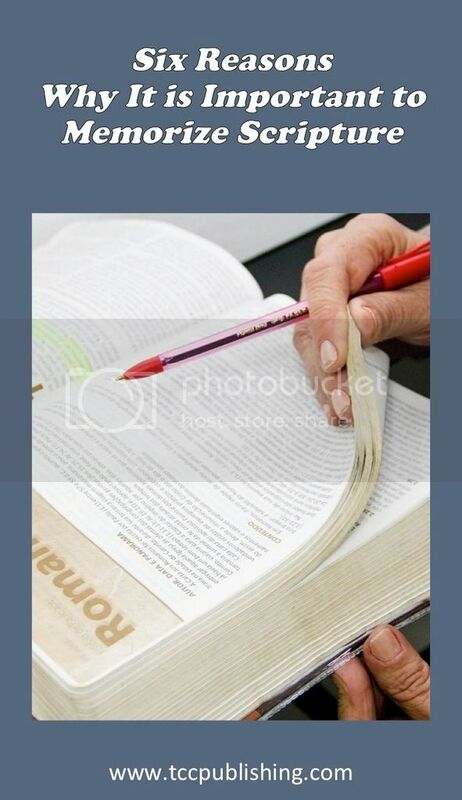 Memorizing Scripture will Allow You to More Readily Encourage Believers: Just as know Bible verse can give you comfort when your are facing life’s trials; know scripture by heart will all you encourage others when they are fight temptation, trying to discern God’s will, or have experienced one of life’s many difficulties. Paul exhorts the Thessalonians in 1 Thessalonians 4:18 to be ready to encourage other believers with the truth. Memorizing Scripture Also Helps You Witness to Unbelievers: 1 Peter 3:15 says, “Always be prepared to give an answer to everyone who asks you to give the reason for the hope that you have. But do this with gentleness and respect” (NIV). Therefore you should memorize Scripture so you can share your faith with unbelievers, help them understand their need for a Savior, or help understand what the Bible says about an issue. I know most of us can stumble through these discussion without having specific Bible verses ready; however, I know from personal experience having the exact Word of God memorize provides power and authority to your words. So I am sure if you have made it this far, you are probably wondering how tostart memorizing scripture. I’m excited to share with you a brand new resource that can help you hide God’s Word in your heart without taking up much time! 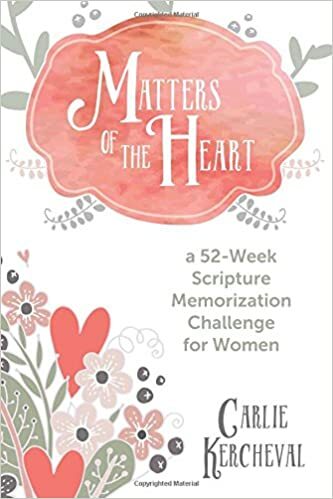 “Matters of the Heart” is a 52-week Scripture memory journey that will not only help you memorize Bible verses, but will challenge you to examine your heart and put your faith into action. Grab your copy today! Thank you for encouraging Scripture memorization and for these great tips! Personally, I recommend the app <a href="http://www.remem.me">Bible Memory: Remember Me</a>. Quizzes, flashcards, audio recording, playback and an intelligent review system help you to memorize your favourite verses from 44 Bible versions. It's so easy to use it is even part of <a href="https://play.google.com/store/apps/details?id=org.bible.remember_me">Google Play for Families</a>.